Emilyann is always honored to speak on panels or attend events as a guest. 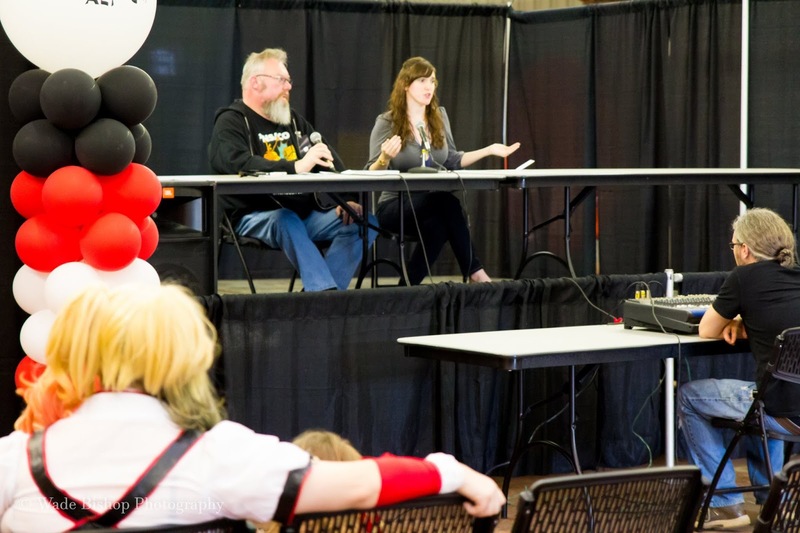 She has worked with several Barnes & Noble stores, Wizard World Comic Con, AltCon, coffee shops and various other venues and organizations. If her schedule allows, she’d love to pay you a visit or schedule a Skype session. Since travel costs or other details may vary, she considers each event on an individual basis. Please submit the following information to pr(at)thelabyrinthwall.com or use the contact form for booking consideration. Name of your convention, school, bookstore, book club, etc. * In some cases, for example, if you are a charity or teacher looking to invite Emilyann for a classroom author talk, Emilyann may only request a small books/prints sales guarantee rather than any fees. PLEASE FILL OUT THE FORM BELOW OR EMAIL PR(AT)THELABYRINTHWALL.COM FOR REPRESENTATION OR PUBLISHING INFORMATION, PRESS, COLLABORATION INTERESTS, APPEARANCE REQUESTS (SEE MORE DETAILS BELOW) OR OTHER INQUIRIES CONCERNING EMILYANN, THANK YOU.